In 2002 Pamana Tuhon Sayoc decided to help us start Atienza Kali to honor our father Edgar ‘Butch’ Atienza who had passed in 1999. Our father gave us our first 15 years of Filipino martial arts training. Butch was also a mentor to Pamana Tuhon Sayoc when he was a teenager. 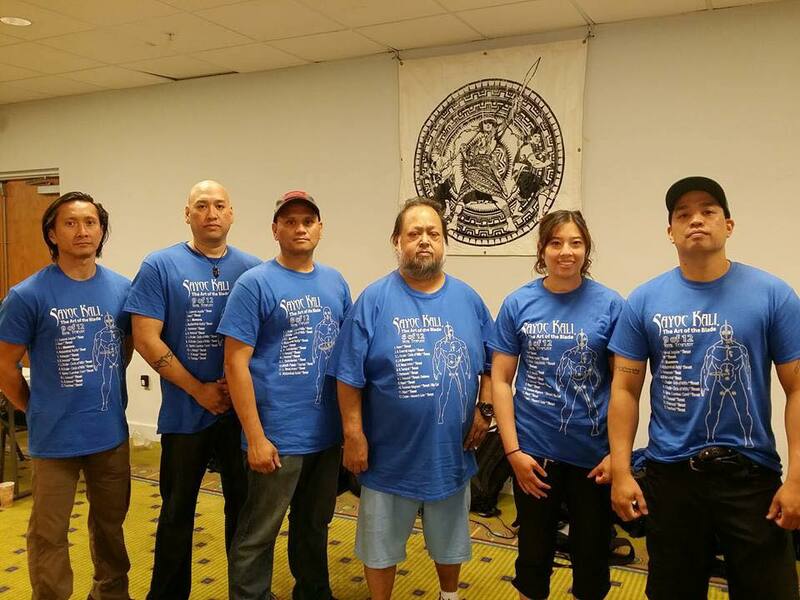 By 2002, we had been training in Filipino martial arts for 25 years and teaching for 15 years. Teaching and training experiences taught and gave us many skills in running a small group of students. It also gave us bad habits that made running a group difficult. Multiple groups had been started but not maintained correctly. The first lessons from Pamana Tuhon Sayoc gave us were in how to effectively start and maintain an organization properly. These lessons were delivered through Sayoc Logical Order of Thinking. PTS allowed us to sit in on many Sayoc seminars and instructor weekends where Sayoc LOT was taught. Through these lessons, actions were assessed & dissected and newer more correct actions were learned. Sayoc LOT is now very important in running and maintaining Atienza Kali. Atienza Kali Tuhons and Full instructors are still students of Sayoc LOT. At this time we had been training for a couple of decades and were very highly skilled. We believed that the highest skill that a blade practitioner can achieve is in empty hand vs blade. Fighting an opponent that is armed with a knife while you are unarmed. By the time we were teenagers we considered ourselves “untouchable” in this field. Pamana Tuhon Sayoc was the only person that could enter on us at will. We had very little solutions for the way he executed his blade entries. While we attended Sayoc instructor weekends and seminars we began to learn why Sayoc was so effective. The thought process of Sayoc was very different and countered everything out there on a physical and thought level. -Sayoc empty hand vs knife: very high level and its influence is still seen in Atienza Kali today. Through this training we learned the feeder and receiver concept in detail. -Sayoc Training rigs: bring the live blade carry system into Filipino martial arts system and make it part of the training curriculum. Atienza Kali uses a variety of training rigs especially for the long blade. -SAYOC Logical Order Of Thinking (LOT): One of Pamana Tuhon Sayoc’s goals was to create a tribe of masters who achieved high levels of mastery. A few high level instructors were given the title of Tuhon by PTS. Something we all don’t take lightly. Through Sayoc LOT training these instructors have become a brotherhood of masters under the Sayoc tribe.